Even though experts like Lily Zhang, who is a Career Development Specialist at MIT and writes for The Muse, argue that it is no longer fashionable to include a resume objective, it is still a powerful tool to attract recruiter’s attention. A catchy resume objective is now an easy goal to accomplish, because you need to make it specific and straight to the point. Career objectives for resumes need to be short and targeted statements outlining clearly your career direction. It must be tailored and carefully researched in order to fit the job you are applying for. An objective is as important as an effective resume title. You should not confuse resume objective and resume summary statement, or resume vs. bio though. These two quite different from each other. In writing resume objectives you are targeting a specific position, new to the job search market or changing industries. On the other hand, if non of the things above apply to then resume summary statement is the way to go. 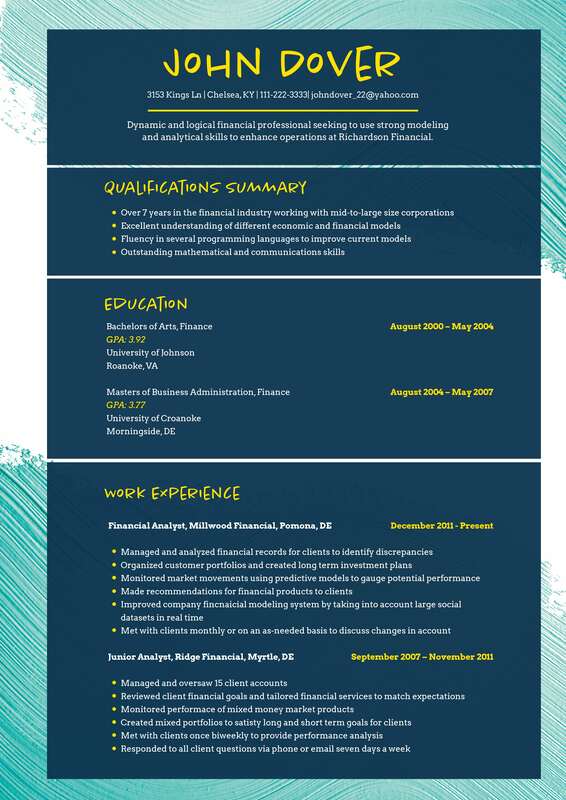 Having a good career objective in resume as well as a nice resume headline. Your goal is not only to catch the attention of the managers but to be impressive enough to get the desired interview invitation. Let them know how valuable you can be for the company: Present examples on how the company can benefit from hiring you. Keep it short: Don’t turn your objective into a novel or a book. Keep it straight to the point, but informative. Putting it all together: Make sure that all you’ve written goes good together and your writing flows nicely. No chopped sentences, no grammatical mistakes, etc. When writing the resume objective, make sure it’s not old fashioned or outdated. It should be done properly to get initial interview. For people having more experience, the best option is to use resume summary statement instead of resume objective. For job seekers who are targeting a specific job, lack experience or skills, or changing careers, the best choice is to use a resume objective. It is an easy and quick way for the manager to learn about you. You do not need to use pink paper and perfume to impress the employers because you words can do this for you. Do not miss the chance to get an interview in the company you are applying, start to write your resume right now!